Our parents were born in Marseille and have always lived here. When they eventually became the owners of the Villa Santa Lucia in 1984, they committed themselves to protecting the property that they loved. 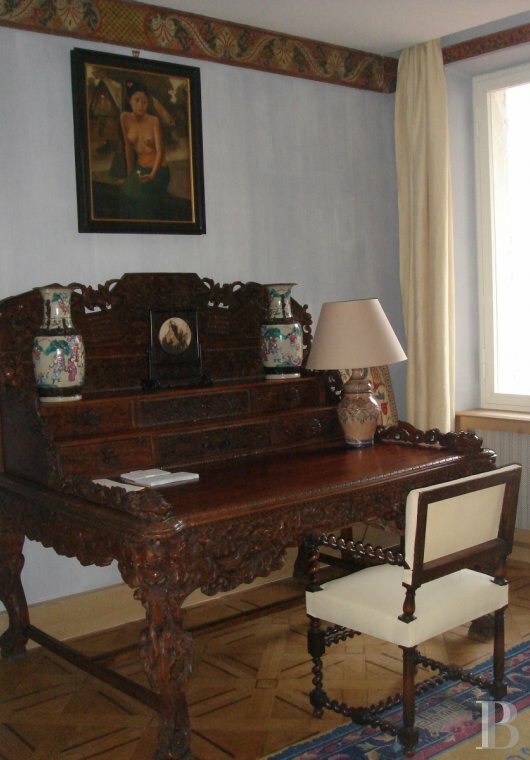 Our father took the necessary steps to register the villa as a historic monument. We recently inherited the house and want to showcase this protected site with different projects that are in accordance with our values. The Roucas Blanc district - with its climbs, descents, steps and view of the sea - is sheltered from traffic and one of the most unique areas of Marseille. A guest room and a private 28 m2 terrace with stunning sea views. Guided tours of the beautiful garden with an ensemble of architecture and rockeries planted with lush vegetation. Guests are invited to sample our seasonal fruits. The Villa Santa Lucia has an extraordinary view of the sea and the blazing light of the late afternoon skies is incomparable. We are committed to limiting our impact on the environment: the site is 100% powered by renewable electricity, we use organic household products, implement selective sorting and compost etc. 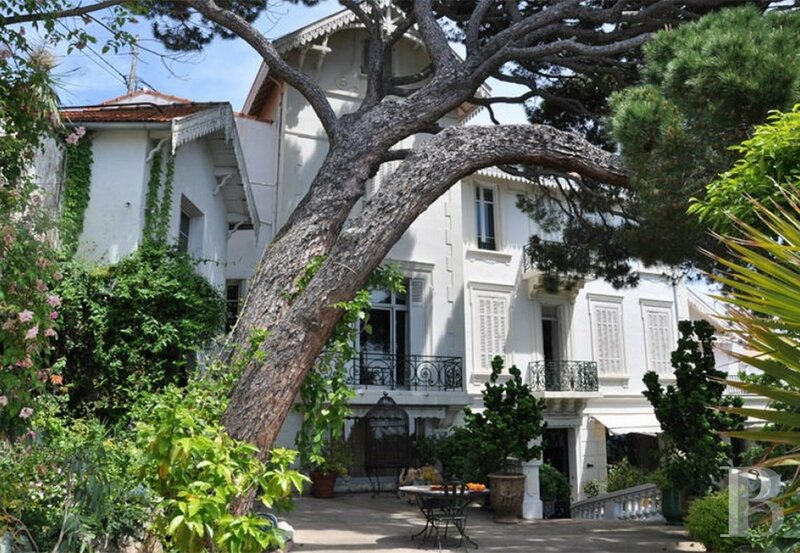 Built above the Corniche in Marseille and located in the heart of Roucas-Blanc, the Villa Santa Lucia is a property that dates back to the 19th century. It is a two storey building in white stones and the main facade, which faces that sea, is lined with twenty windows and adorned with beautiful ironwork on the three balconies and the small terrace on the first floor. On the ground floor, the vast terrace extends across the width of the property - it overlooks the entire garden and is lined with stone balusters. The small terrace on the first floor can be reached via a beautiful spiral staircase with openwork cast iron in the style of Gustave Eiffel. The house is built into the rock and the large garden has a remarkable display of 19th century architecture and rockeries including mills, caves with ponds, stairs, passages beneath arches and waterfalls. This vast "theatre" of rockeries (spread over seven levels and designed by Gaspard Gardini) is a particularly good example of work by the early 19th century rocailleurs in Marseille. The garden is made all the more remarkable by the various terraces across several levels that descend towards the sea. The garden also benefits from an exceptional microclimate thanks to its sheltered position and proximity to the sea, it features a vast collection of rare Mediterranean and subtropical plants. It is a veritable botanical marvel with a beautiful collection of citrus fruits in Anduze pots, roses, jasmine, Florentine cypresses, agavaceae in the pockets of the rockery, palm trees, a bamboo plantation, majestic pine trees, and an extensive vegetable garden at the bottom of the property. Nature lovers can go hiking in the Marseilleveyre creek and have lunch at "Chez le Belge" just a forty-five minute walk away. Those who love places full of charm should visit the port of Madrague Montredon. The restaurant "Au bord de l'eau" offers fish specialties à la plancha and excellent pizzas. Our favourite activity is a hike to Sainte-Baume to visit the cave of St. Mary Magdalene, followed by lunch at "Lou Pèbre d'Aï" in Plan d'Aups. In a sincere declaration of love for the arts, artists and the region, "MP2018, Quel Amour"! is 2018's new festive and cultural event in Marseille. The land was acquired by Mr. and Mrs. Pierre Stanislas Baron in 1860, they built the house between 1861 and 1867. At his time it was a single storey building with no outbuildings. The garden was planted with pines and fruit trees. The Mullot family made changes to the building between 1887 and 1904 by adding an additional floor. As for the gardens, they already included a small rockery and greenhouse before 1872. 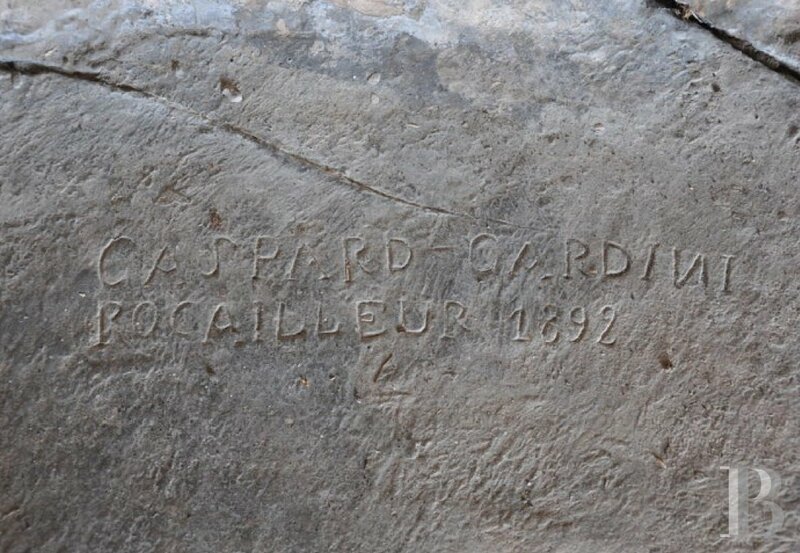 The Mullot family commissioned most of the rockery works, including the most ornamental and elaborate features from 1892 that were signed by Gaspard Gardini. 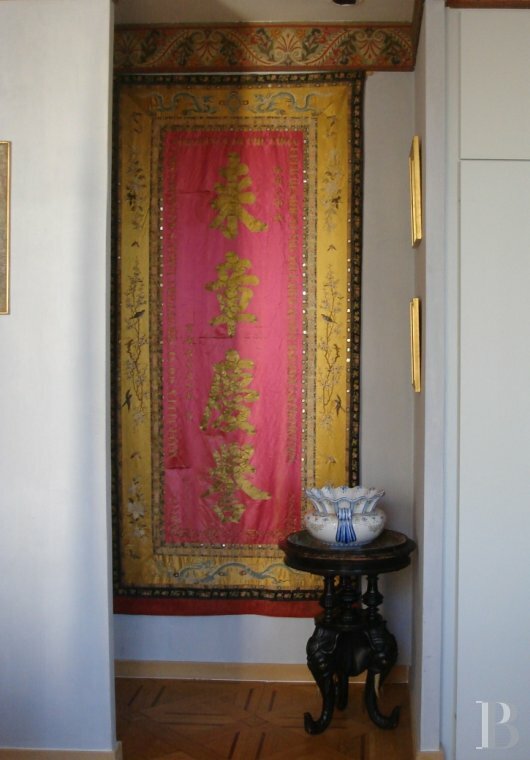 Between 1922 and 1930, Mrs John Kahn (the owner at the time) had decorator David Frères partially revise the interiors. The last significant changes to the building were made between 1950 and 1970, namely the addition of the pool in the garden and a roofed garage. In 1979, the garden was partially renovated by famous landscaper Tobie Loup de Viane (1934-1986) at the request of the new owner, Mr. Roubaud. In 1984, our father (who was passionate about botany) was continually enriching the collection of plants. Over the years, extraordinary collections of Mediterranean, subtropical and exotic plants have been added. The most significant of these collections in the garden today are the stunning variety of trees (olive trees, pines, cypresses of Florence, magnolias ...), the collection of palm trees, the garden of scents, the citrus collection in the open air and the perfectly acclimatised exotic plants with a lovely assortment of succulents. The garden, which has become a veritable plant conservatory in this rocky setting, pays tribute to the masterful work of Gardini. Our father also implemented a program to restore the terraces and rock gardens. We have been continuing our father's work since 2016 by preserving the villa and garden and we now share their history with visitors. Our wish is to make it shine. The property had a string of different names: "Maison Blanche", "La Meunière" (between 1920 and 1930) and "Villa Santa Lucia" after the second world war which was engraved on the gateway that crosses the Napoule. Happy are those who spend time at the unique Villa Santa Lucia bed and breakfast. Guests pass delightful hours on the terrace overlooking the sea and the aptly named "anse du Prophète" (the Prophet's bay). Since the 19th century, generation after generation have had their dreams masterfully brought to life by expert landscapers, rocailleurs, architects and decorators. This human expertise blends with the surrounding nature in every aspect of the property: from one terrace to the other, in the shade of the umbrella pines and palm trees, under the cool arches of the rockery and at the edges of the crystal clear pools. Much more than just a seaside villa, this place is a world in itself. The guest room and 28 m2 private terrace with sea views are located on the first floor. The room is equipped with a double bed, a desk, a bathroom with bath and shower and a separate toilet. An adjacent extra bedroom with a double bed and bathroom is also available if needed. Organic breakfasts with homemade jam made with citrus fruits from the garden can be served on the terrace in the spring.